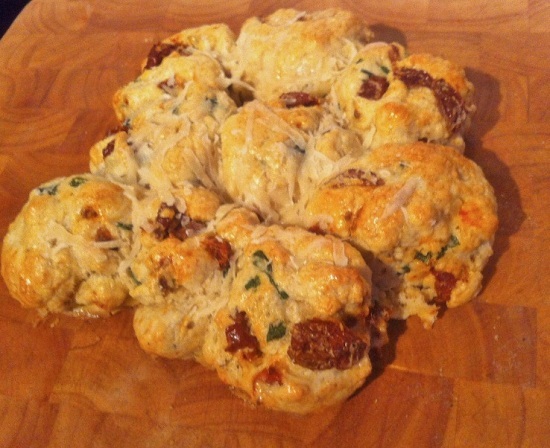 Emily's Recipes and Reviews | UK Food Blog | Leicestershire : tomato and basil tear 'n' share bread. so tomato and basil tear and share bread. actually, my first ever attempt at making bread at all. i stuck to the below recipe except for taking it out two minutes early and grating parmesan over the top. delicious, indulgent and... easy! let me know if you have any other great tear 'n' share bread recipes - this book which i was sent by bakingmad.com is absolutely brilliant!